Now get a free mobile recharge with all new Pocket Money app. Get Pocket Money Free Mobile Recharge Offer from here. 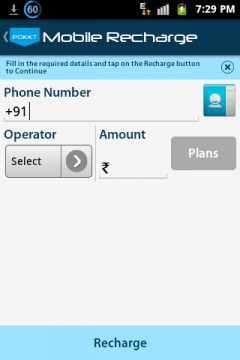 Pocket Money Free mobile recharge offer brings you the free recharge for your mobile. 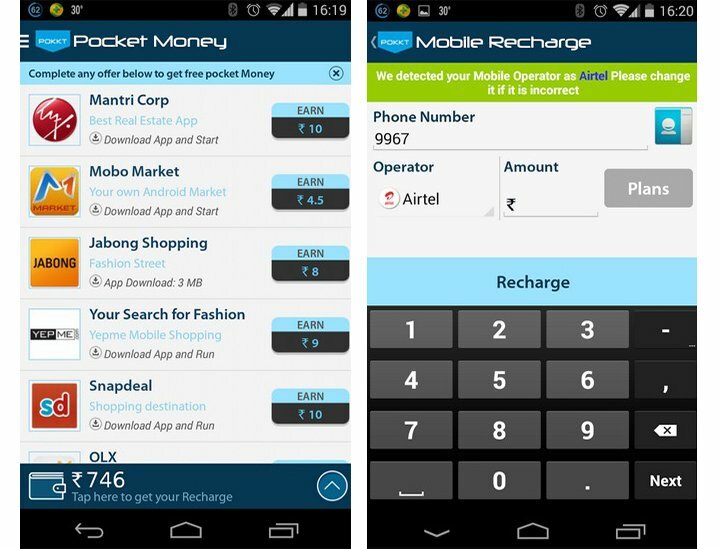 Pocket Money is an android app to earn free talk time or to recharge your mobile with free of cost. Now open the app and register your details. Now you can able to see the offers or tasks you have to complete to earn talk time. just download these apps to earn credits in your wallet. What’s more Invite your friends and if the install one app, get Rs.20 credit free. Note: You have to open the app for about 30-60 seconds to get credits in your wallet, the wallet will be credited instantly, but sometimes it may take up to 24 hrs. Enjoy your free recharge ..
From last two day i received the error name”Your request for recharge 50 is unsuccesful”. I have taken almost 2000 rs balance form this app in 1 month and this best app. I invited many friends. But I didn’t get money .they downloaded this app and installed apps by pocket money. Its a fab app i use nd suggest to all android app users to download it……..
Its a good app with fast recharge redeem. Not available for PC users as the strategy is mobile apps. Its temporary from 24hrs. op it will be solved soon. iam not happy with pocket money app, because i was install “olx, amazon and my airter” apps in the month of may from pocket money but i don’t got any talk time till now. Not that, it takes time and a lot of good response as well, consider that before saying waste. It is awesome apps but cut my pocket money account blanse when I recharge. But some days ago not cut to my pocket money balance. 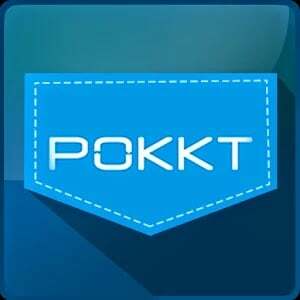 i am trying to rechage pokket money app normal rechage but it is unsecessful.what is the reason..
i am trying to rechage normal 20 30,but it cant rechage sucessful . Ok we will check and get back to you with few tests. Thanks for reporting. This happens when you try special recharges. Try with normal ones like 10,20,50,100. This works. Hi Rajat, we have personally tested working fine. Have you already recharged once on the same day, You can only recharge once/number. Pls check again.